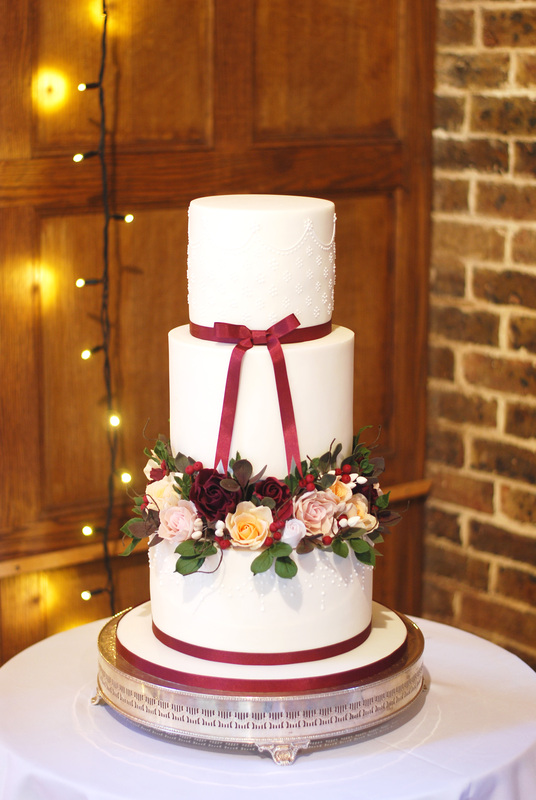 Claudia and Matthew married at Folkington Manor, East Sussex on a gorgeous Autumnal day in October. 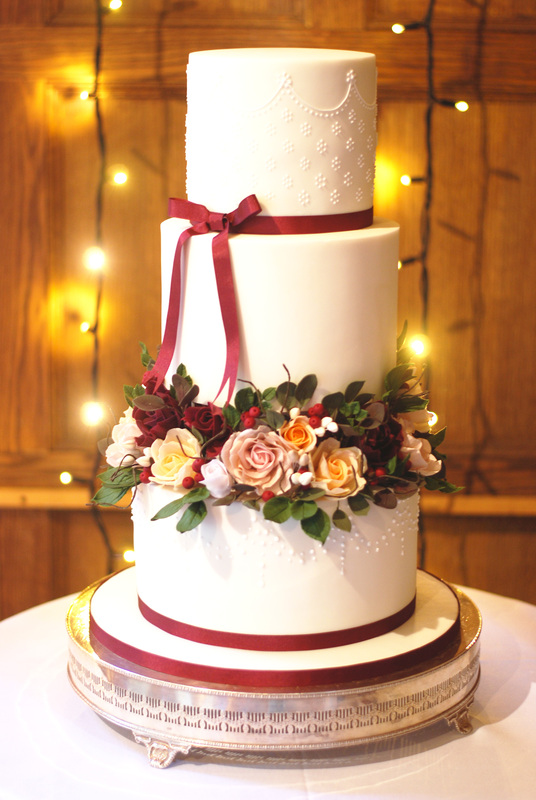 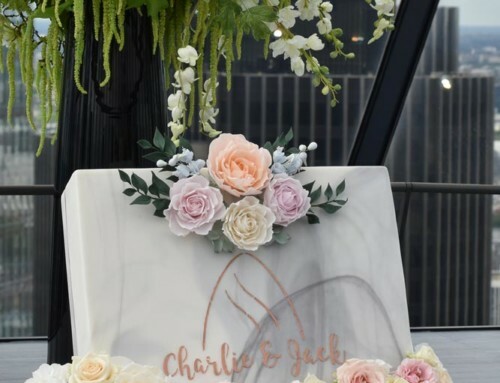 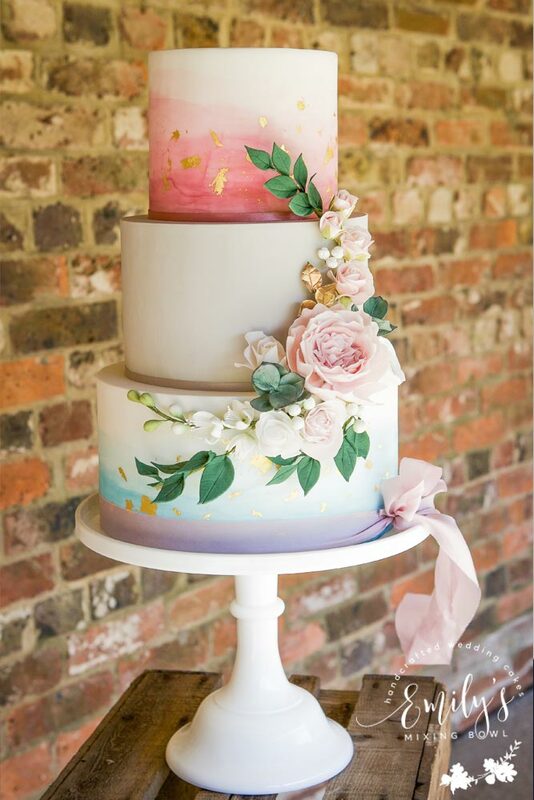 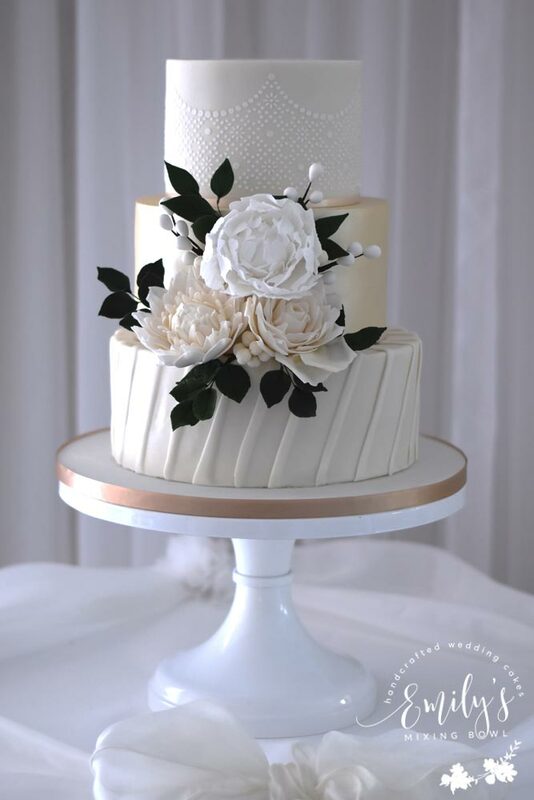 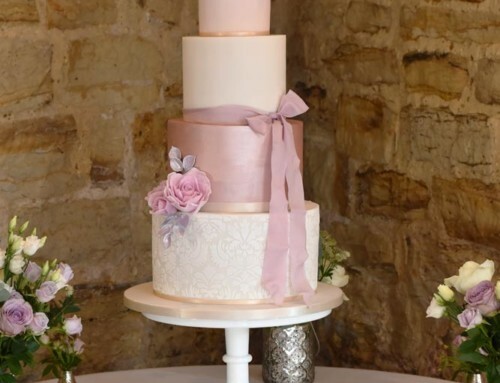 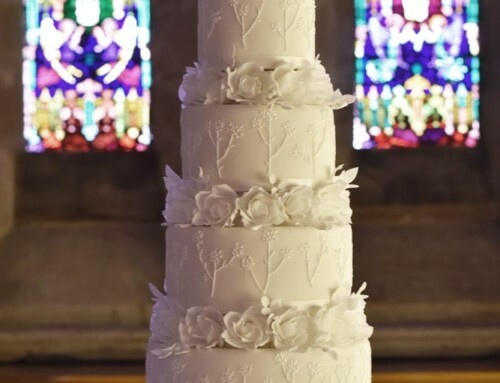 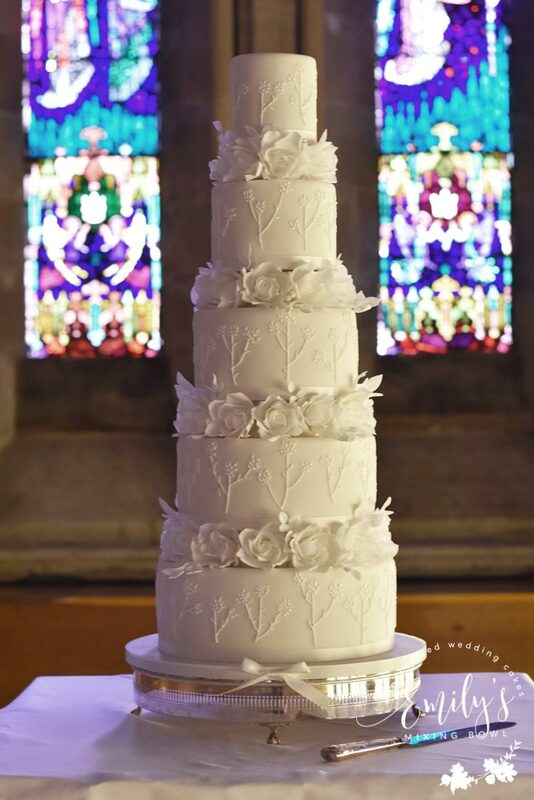 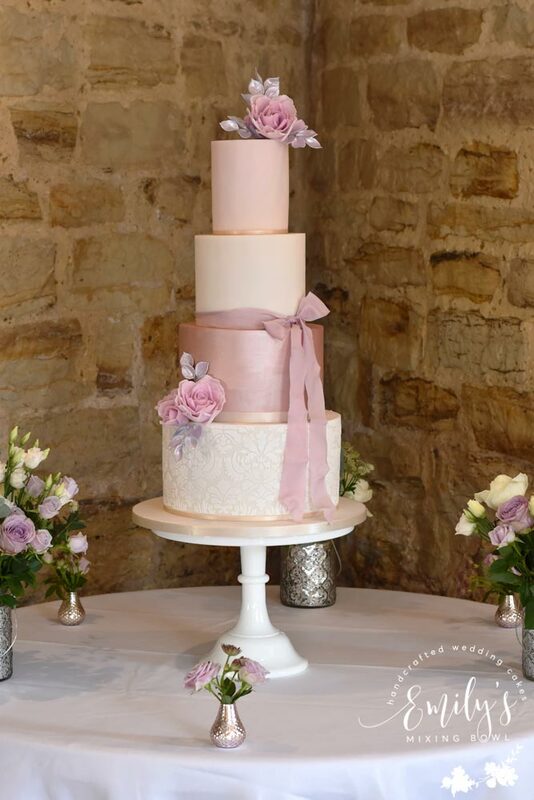 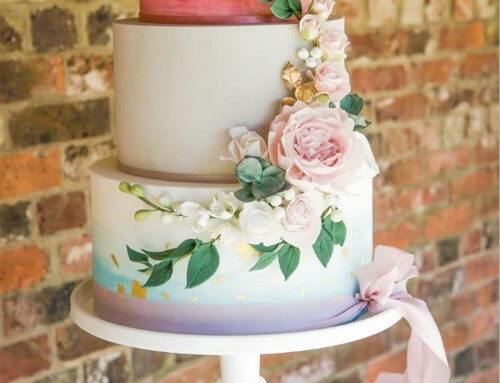 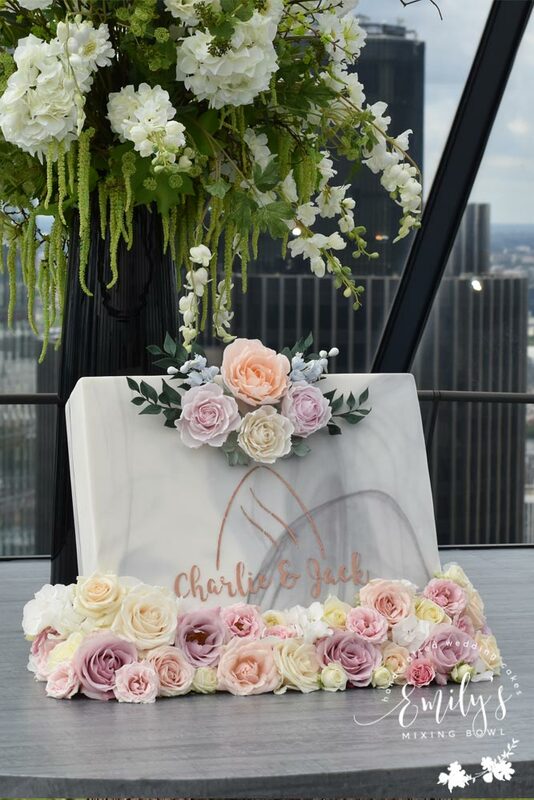 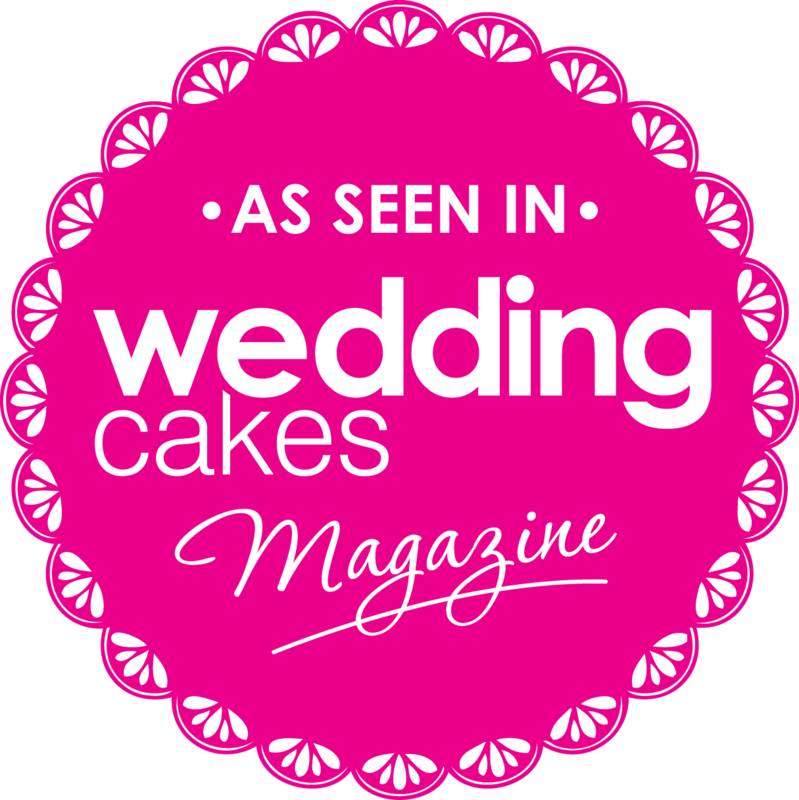 Their colour theme was claret and ivory and Claudia particularly loved my sugar flowers so together we designed this 3 tier cake with delicate piping and lots of matching sugar flowers sandwiched between the bottom and middle tiers. 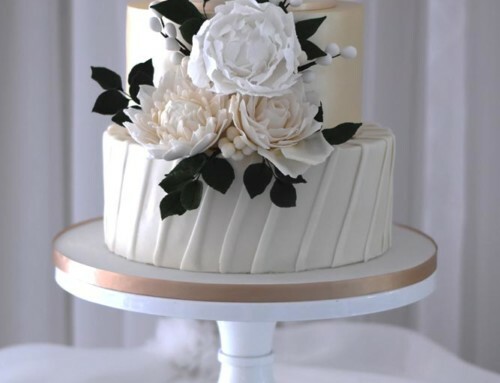 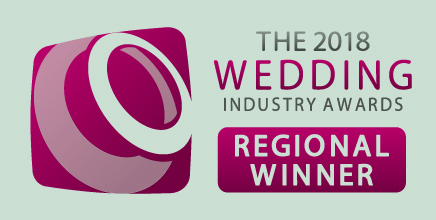 It was all finished off with a simple ribbon for a classic look.